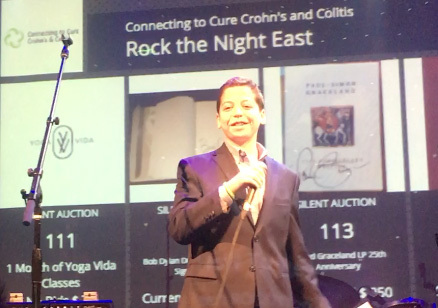 Noah Weber speaking at the Connecting to Cure Crohn’s and Colitis “Rock the Night East” event to support the mission of bringing awareness to Athletes vs Crohn’s & Colitis and to further both organization’s missions of curing IBD. Click on the video to hear Noah’s inspiring opening speech. 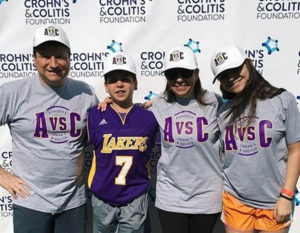 The Weber family participated in the 2017 Westchester Take Steps for Crohn’s and colitis sponsored by the Crohn’s & Colitis Foundation on behalf of Athletes vs. Crohn’s and Colitis. 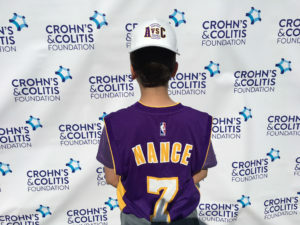 In an effort to raise awareness of Crohn’s and colitis as well as Athletes vs. Crohn’s and colitis, Noah gave a dynamic presentation to a full house at Westchester Reform Temple in Scarsdale, New York. The night ended with an informative and engaging Q & A session. Thanks to everyone who came out to support Noah and A vs. C!